Heading into an open-ended immigration debate, some of the Senate’s most conservative members are offering a package heavy with border security and provisions aimed at quickly deporting unauthorized migrants. The plan also includes cuts to family-based immigration and the elimination of the diversity lottery that would ultimately reduce total legal immigration to the U.S. by about a third, as well as a path to citizenship for young undocumented people brought to the U.S. as children. The package translates a broad framework put forward by President Donald Trump into legislation and will be offered as an amendment during a debate that begins Monday in the Senate, GOP aides said Sunday. It represents a trade: conservatives agree to let the so-called Dreamers stay in the U.S. and even apply for citizenship, but they want a long list of enforcement measures too. 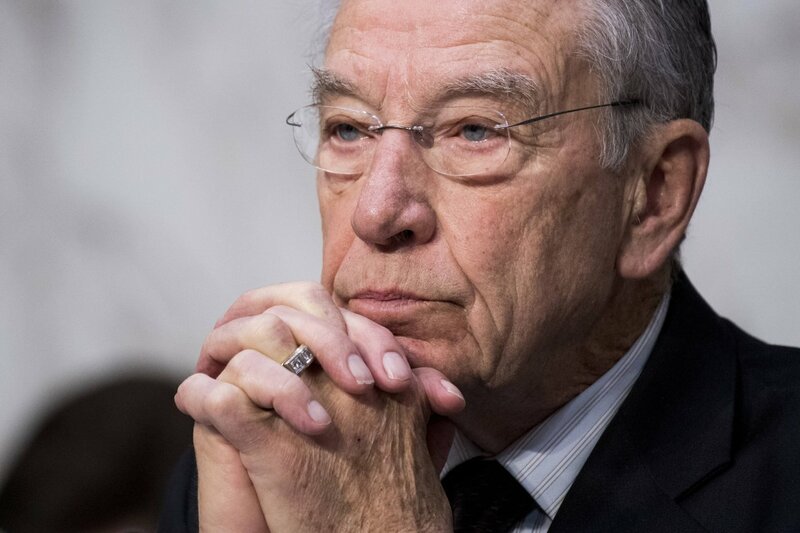 ”This legislation is a reasonable approach to shielding children illegally brought to our country through no fault of their own while also taking the meaningful steps to ensure nobody finds themselves in the same situation in the future,” said a statement from Sen. Chuck Grassley (R., Iowa), chairman of the Judiciary Committee. Read the rest from the WSJ HERE.